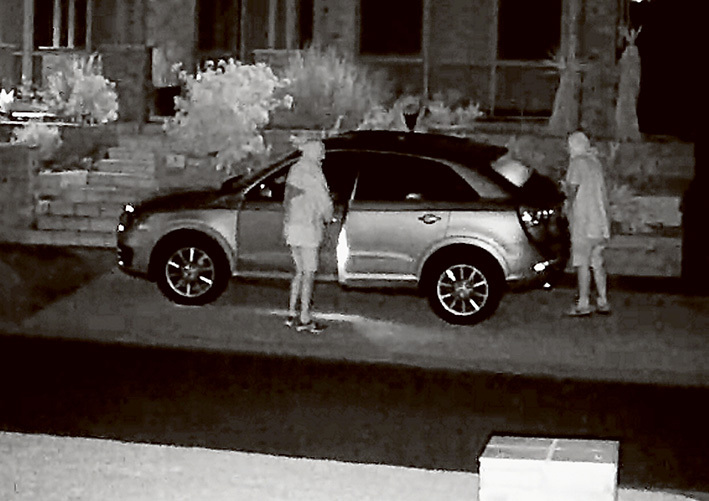 Car break-ins rise angers Frankston Police - DK Electrical & CCTV Langwarrin, Cranbourne, Carrum Downs & Frankston. Easy pickings: Youths investigate vehicles for valuables in a Frankston South street last week. They wear hoodies and carry rags to wipe off fingerprints. FRANKSTON detectives are reeling in the wake of 53 night-time car break-ins last week resulting in the loss of dozens of wallets, handbags and other valuables a�� all crimes, they say, that are easily prevented. Inside several cars were spare keys for the same cars or the ownersa�� homes, meaning the thieves were given ready access to even more booty. The robberies come on top of 43 car break-ins the previous week, which included the theft of 20 number plates. These will be used to shielding thieves as they perform drive-throughs on petrol stations, commit armed robberies and engage in assaults, with little chance of being identified. a�?Therea��s only so much we can do,a�? Detective Senior Sergeant Steve Fyffe said. a�?Only four of the 53 car break-ins related to forced entry, so the others must have been unlocked. a�?Ita��s very frustrating when responsible guardianship goes out the window. a�?Wallets and handbags are being left in plain view when cars are parked outside overnight.a�? Detective Senior Constable Craig Goudie described the booming thefts-from-cars figures as a�?a nightmarea�?. He said 80-90 per cent had been left unlocked, while a small number had had their windows smashed and were broken into when valuables were left in clear view. Handbags and wallets containing credit cards are especially sought after as thieves can swipe them a�� without being asked for PINs a�� for multiple purchases under $100. It is not unusual for a stolen card to be used at four service stations overnight for petrol, cigarettes and drinks, before the owner reports the theft in the morning and puts a stop on it. While passenger sedans are favoured by thieves, so, too, are tradiesa�� utilities which are frequently scoured for tools. Even locked tool boxes are vulnerable, with several cut open by a hand-held grinder and their contests spirited away last week. Gangs of youths, in small groups, are being blamed for the thefts. After being dropped off at a central location, for example, in Langwarrin, they spread out as they wander up and down each side of the street, testing door handles a��a�?dooringa�? a�� to see which cars are unlocked while scouting for valuables. Youths spied on CCTV cameras were wearing hoodies and carrying rags to wipe their prints off doorhandles. Streets especially targeted in Langwarrin last week were North Gateway, Centre Rd, and Frankston-Cranbourne Rd. In Frankston, areas targeted were off Yuille and Clarendon streets and side streets near the cemetery. Most have easy access and egress with myriad courts running off each side. Many occurred on Friday 4 March, when residents reported hearing noises in their streets and in driveways.